Bongbong Marcos joins his sister, Ilocos Norte Governor Imee Marcos on behalf of her co-anchor Tacloban’s Alfred Romualdez. 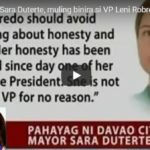 They talk about President Rodrigo Du30’s controversial kiss with a married Filipina in Korea during his speech there. Detractors are quick to sensationalize on this local tradition. Gov. Marcos said that the act is very common among the Visayans just to entertain the crowd. It’s about time to stop putting malice on this event, the former Senator added. 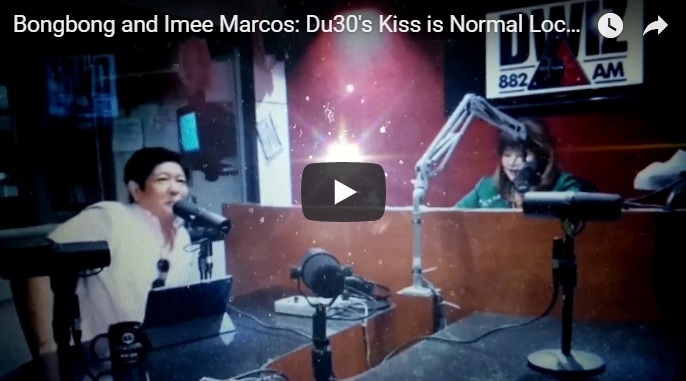 [VIDEO]: Bongbong and Imee Marcos: Du30’s Kiss is Normal Locally. Gov. Imee Marcos said what most Du30 supporters think that those who are malicious with the presidential kiss are envious of the beautiful woman, Bea Kim. It was done without malice and just to entertain the crowd. 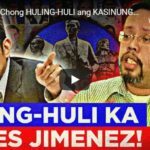 This has made bigger by the media of the opposition to cover up on the President’s achievement during his visit in Korea. Former Senator Bongbong Marcos also justifies the act by asking if there’s any complaint. Since there’s none and both enjoyed the limelight of the moment then, they are both sports. Real Filipinos would never say that it’s against Filipino culture or values. Only hypocrites would or those pretending to be from the Philippines. The 73-year-old grandfather Du30 offers a free book in exchange for a kiss during a trip to South Korea. He calls a woman from the crowd who happens to be married named Bea Kim, onto the platform during a speech and he points to his lips. The spectators are hysterical. 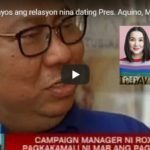 Bea Kim initially hesitates and said that she has a husband, but later offers no protest as Du30 kisses her on the lips. There are cheers and gestures of approval. The Marcos siblings are right as seen in barrio fiestas, political meeting de avances, and celebrity provincial tours.